But you’re here because, for whatever reason, you haven’t given it a try and aren’t sure what all the fuss is about. While you’re a bit late to the game, now’s a great time to discover what Slack is able to do for you and your teams. To help you with this, we’ve created this handy guide to Slack so you can get up to speed quickly. Slack is essentially a chat room for your whole company, designed to replace email as your primary method of communication and sharing. Its workspaces allow you to organize communications by channels for group discussions and allows for private messages to share information, files, and more all in one place. Plus, Slack integrates with a host of other apps so you can manage your entire workflow through one platform. Slack allows businesses, communities, and other organizations to create a private, dedicated workspace complete with a custom URL. After a simple signup process, you’ll be able to invite your team to join and start getting work done. For small to medium-sized companies, you’ll likely need just one workspace organized by public and private channels to meet all your needs, but Slack also has features to help enterprises manage multiple workspaces if that makes more sense (more on that below). Slack messaging is grouped into channels and direct messages to organize conversations and replace communications that might otherwise be scattered across emails, text messages, or in person meetings. Public channels are open to all members of a workspace and can cover everything from different marketing and sales operations to random discussions and streams of memes (if you’re company likes to have as much fun as we do). You can also create Private channels in Slack to help break down large teams into their relevant working groups or restrict sensitive conversations or work materials to relevant team members. And Slack allows private messages, sent directly to other team members, so you can have one-off communications or keep things organized between you and specific members of your team. Read on for a list of some of our favorite integrations. Slack offers plans from Free to $12.50 per user for most businesses (with enterprise pricing available on request). Learn more about Slack’s Free through Plus plans here and Enterprise pricing here. ‍Slack organizes messages into channels and direct groups, with the ability to search all messages to quickly find anything important. Head over to Slack’s website and enter your email address. Choose the name for your Slack team. Create your team URL ([your_team_name].slack.com usually works well). Enter the emails of employees and coworkers you’d like to have join. Your Slack workspace will then load, follow the brief tutorial to learn the basics and you’re ready to go. As we mentioned above, Slack workspaces are divided into channels and direct messages. Public channels are open to your entire team. All messages within a public channel are automatically archived and searchable by everyone. You can identify public channels by the “#” hashtag icon next to their names. Private channels are not open to everyone in your workspace; team members have to be invited to join a private channel to view, search, and participate in that channel’s discussion. Private channels have a lock icon next to their names. Direct messages are best for ad-hoc or quick discussions with particular team members. These conversations are only visible and searchable by you and other members of a direct message thread (you can create a direct message thread with up to 8 other people). In addition to simple text messages, sharing files and documents is one of the basics of modern collaboration. And depending on the file type and integration you use, Slack will even “unfurl” certain types of content - so you can see/watch/listen right inside the app. ‍Slack unfurling makes it easy to view all sorts of content right inside the app. Here’s how it works with the CloudApp Slack Integration. Search is one of the most powerful features of a Slack workspace; people, Messages, and files are all searchable. When you begin typing in the search box, Slack will suggest certain modifiers and show you related channels, team members, and search history to help you find relevant results. You can toggle between message and files, sort by most recent or relevant, and exclude channels from your search. You can even use a number of special words and commands to find exactly what you’re looking for - fast and easy. From any chat window - whether you’re in a channel or direct message group - you can use a few different commands to modify messages, notify a certain group, or perform a few admin functions. Emphasize words or phrases by using *asterisks* to create bold text or _underscores_ for italics. You can find a full list of Slack slash commands here. Or make your own custom slash commands using Slack integrations by going here (you’ll need to have set up a Slack workspace). Notifications let you know about messages and shared resources that need your attention. You can choose to receive notifications in a number of ways: on your desktop, mobile device, or email. You can even customize notifications by channel so you can prioritize your attention. Slack’s app directory features over 1,000 integrations you can use to enhance your Slack workspace. This is what makes Slack more than just an online messaging system. It’s a complete communication and productivity solution. 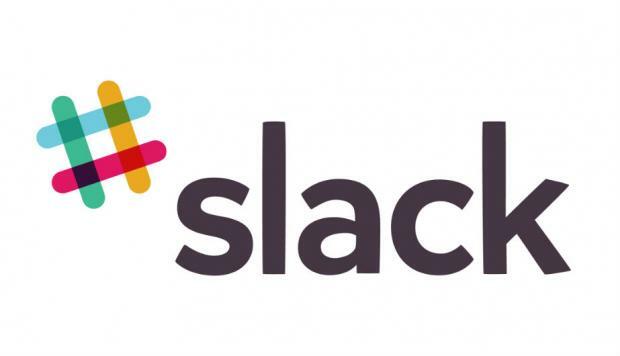 Check out some of our favorite Slack apps below. Simple Poll enables you to poll your team right within Slack, so you can quickly create a poll, gather responses, and share the results. Intro lets you create a private professional network for your Slack team members. When you install this integration, it automatically creates a full member directory with detailed profiles of every member so you can get to know each other better. Everyone on your team can then add their personal contacts so you can find new talent or potential clients and ask for an introduction. With Tettra, you’ll be able to organize and share important knowledge with a wiki built right within Slack. While Slack’s chat messages are quick and transactional, with a dedicated internal wiki you’ll be able to create and share deeper, more thought out knowledge easily. Slack’s Trello integration makes working with everyone’s favorite project collaboration tool fast and simple (if you’re not sure what Trello is, do yourself a favor and check it out). Of course, we love our CloudApp Slack integration. CloudApp helps you communicate at the speed of sight, letting you create and share a variety of visual content with your team, customers, and market. And we’ve made sure our Slack integration is unfurling compatible - so you’ll be able to watch and view all your CloudApp content right inside the app. Hopefully now you’ve gotten a better picture of how helpful Slack can be for bringing teams together and streamlining communications. If that’s the case - and you know a few people still in the dark about Slack - click one of the buttons to the left to share this post!